The majority of business turnaround books written about are written by executives who have fixed Fortune 500 companies. These individuals implement a business turnarounds by cutting large numbers of employees, tapping pension funds and getting banks to infuse capital, and selling off assets to raise cash and decrease debt. However, few small and mid-size companies can make such dramatic business turnarounds changes. These businesses can have a difficult time getting a line of credit from a bank, typically don’t have meaningful assets to sell to increase the company’s cash position, and can’t afford to lay off large numbers of people. To implement the ten keys in a successful business turnaround, you have to perform the following ten steps. If you believe that you cannot execute these business turnaround steps in a timely manner, do not hesitate to seek out assistance. There are business turnaround firms such as Revitalization Partners that are focused on working with and helping small and mid sized companies. Rarely do companies who write and maintain plans on an annual basis get into trouble. Plans chronicle the good and bad of the past and set a vision for the future. Investors, management, and employees all need to know what the company’s future plans are so they can avoid the need for a business turnaround. They need to see where they fit in, how they can help, and to share suggestions based on their expertise that will help the company succeed. 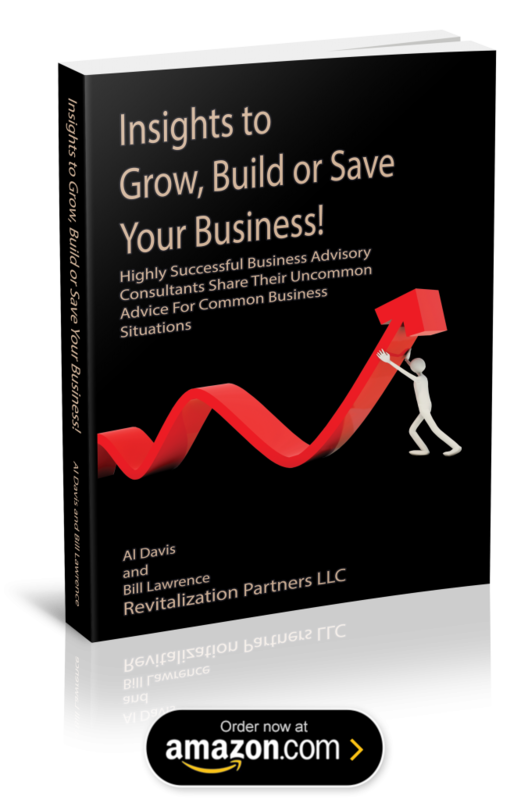 You must get the key people in the business together to have a no-holds-barred discussion on how to fix the company through a business turnaround. Don’t go into the meeting without a plan of your own. People lose confidence in leaders who lack a plan and vision for their business turnaround. The key in this type of meeting is to be self-assured, open-minded, and flexible. After listening to key executives in the business, revise and ask key executives to review the plans a second time before presenting the business turnaround plan to the board of directors and employees. Have a company meeting, admit that there are things wrong with the business, and discuss how management plans to fix it. Provide employees with a copy of the company business plan and ask for their input. For an established business, this step demonstrates that careful consideration has been given to the development of the business. Rumors of your imminent demise are probably swirling around the business community. Key customers are becoming nervous and some may even be looking for new vendors. Don’t stick your head in the sand. Inform your customers about your situation and tell them how you plan to implement a business turnaround. Be reassuring, but not deceitful. Company vendors get very nervous when they hear “on the street” that one of their customers is having trouble. Sometimes word travels faster than you can thoughtfully alert the appropriate people about your problem. With that said, you need to develop a prepared statement outlining the problems and how your plan for a business turnaround. You will receive plenty of concerned telephone calls. Respond quickly and thoughtfully to all of them. Make sure they know that you have a plan to execute your business turnaround. If you can’t pay your local, county, state, and federal taxes, notify the authorities. Tax authorities will work with you. You’ll be on much better terms with them than if you fail to pay and have it appear as if you are trying to avoid your obligation. If you have loans or a line of credit, call—don’t write—your loan officers and tell them you need to meet in person. Give them the bad news followed by your plan for a business turnaround. Appear confident and reassuring. This is an area where a third party business turnaround specialist can be especially helpful. When a bank knows that they are getting information and plans from an experienced, independent third party, you will often find that they are flexible in allowing you time to work through the problems. Figure out which employees you can let go without damaging your business. Nobody likes to let people go, but for the business to survive you want to keep only people who are bringing in, making, or servicing sales. Make a list of all your expenses and eliminate what you don’t need. You need to buy time in order to fix your problems, and cutting expenses is a good way to buy “financial” time. A Business Turnaround is not only possible, it’s relatively simple if you take the right steps. We are Business Turnaround experts and can help your business return to financial success.